Commercial restaurant equipment keeps your business running smoothly and efficiently. However, you can almost always count on something breaking down at the least opportune moment. Equipment malfunctions can happen even if you have performed regular maintenance and taken all the recommended steps to properly cleaning the equipment. At times like that, you need same day restaurant service in Sebastopol from a reputable company with the ability to provide knowledgeable technicians who are efficient at diagnosing and repairing problems quickly. Furthermore, having critical parts stocked on vehicles and at local warehouses is vital to getting your kitchen back in working condition. Getting your equipment serviced the same day a problem occurs decreases your downtime and ensures a smooth operation in your kitchen when a breakdown occurs. Taking care of new equipment is vital to keeping it running. However, sometimes equipment breaks down through no fault of your own. At Casco, our reputation and long history attest to our level of customer commitment. We have been serving the commercial restaurant equipment industry since 1969, and our skilled, professional, and authorized technicians are available for all of your commercial kitchen restaurant needs. 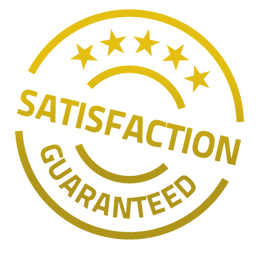 Additionally, our licensed warranty program enables us to perform maintenance, service, and repairs on equipment that is still under the warranty from the manufacturer. Click the link to like us on Facebook, and contact us at (707) 544-5200 for restaurant service in Sebastopol. Need an Estimate or Service?